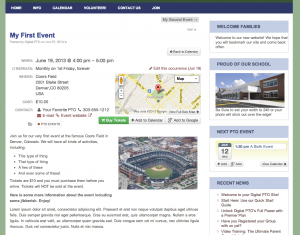 Digital PTO is excited to announce our newest calendar, the Premium Plus Events Calendar, that is now available to all of our Premium Plus Paypal and Premium Plus Credit Card Members. 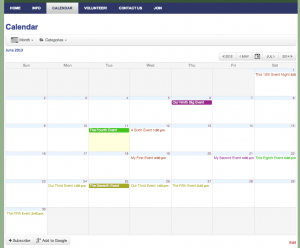 This new calendar is extremely robust and offers a huge variety of options and customizations. 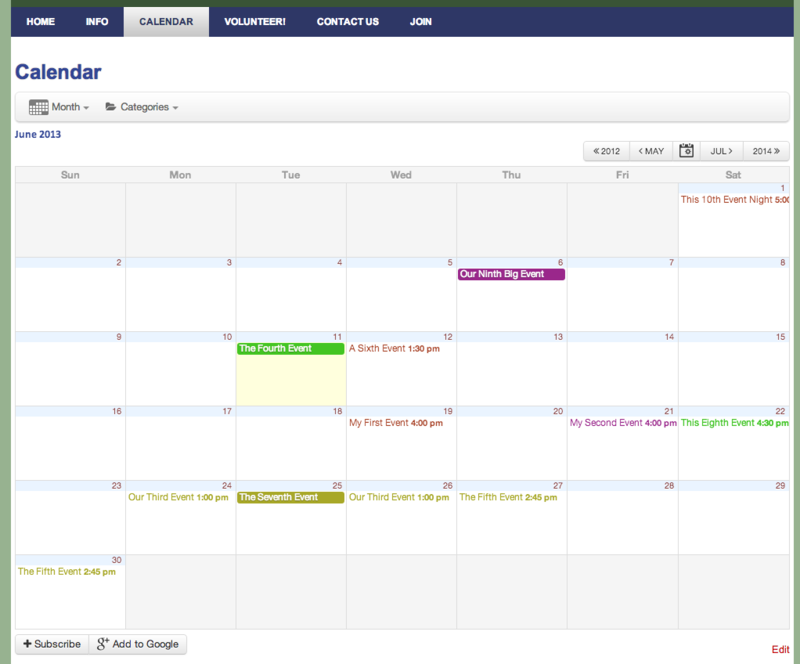 Events can be categorized (Event Categories) and then displayed on the calendar with color coordinated categories. PTO Restaurant Nights can be RED, School Dates can be green, Fundraisers can be blue, Deadlines can be orange, etc! You pick your categories and colors and the calendar takes it from there. Events are listed in a clean monthly view with the option to view weekly, daily and even our new Posterboard view (a very modern way of listing events) – your visitors can flip between views with just a click! 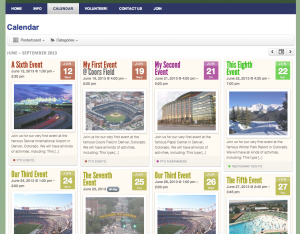 Recurring events are a snap to add and the options for recurring events will cover just about any need you have. 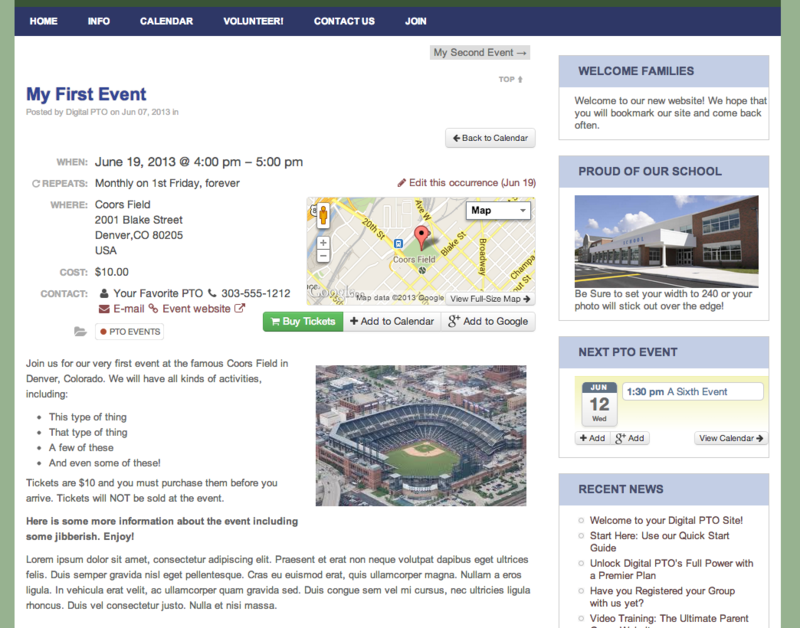 Event detail pages can be filed with as much information (or as little) as you want. Including Dates, Times, Location (with Google Maps), Coordinator contact info, links to buy tickets (if needed), images, full descriptions and more. The monthly calendar can be filtered by individual users to only view the category (or categories) they wish to see, helping clean up the calendar from events they are not interested in. The calendar features one click subscriptions that will add your calendar to your users Outlook, iCal, iPhone, google Calendar and more. Additionally, if your users wish to filter their results, they can also subscribe only to the filtered results (for example if they don’t want to have all the school dates, just the PTO dates, added to their calendar). It’s lightening fast and very easy to use. We’re very excited to be offering this new Events Calendar to our Premium Plus Members and we hope that you will all love the new features and functionality! If you have any questions, let us know, we’re here to help! Thanks! And have a wonderful week everyone! «Happy 2nd Birthday Digital PTO!